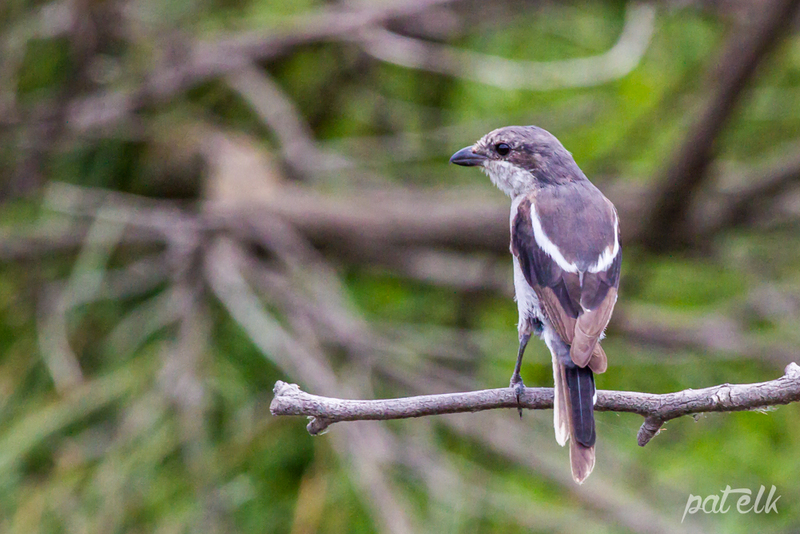 The Common Fiscal (Afrikaans name, Fiskaallaksman) is one of our common shrikes, locally known as Jackie Hangman because of their habit of hanging their prey on thorns or barbed wire. It is a common resident throughout Southern Africa seen in open habitats including parks and gardens. The juvenile is more brown and beige in colouring than the black and white adult. We have one in our own garden but have also seen them all over the country.